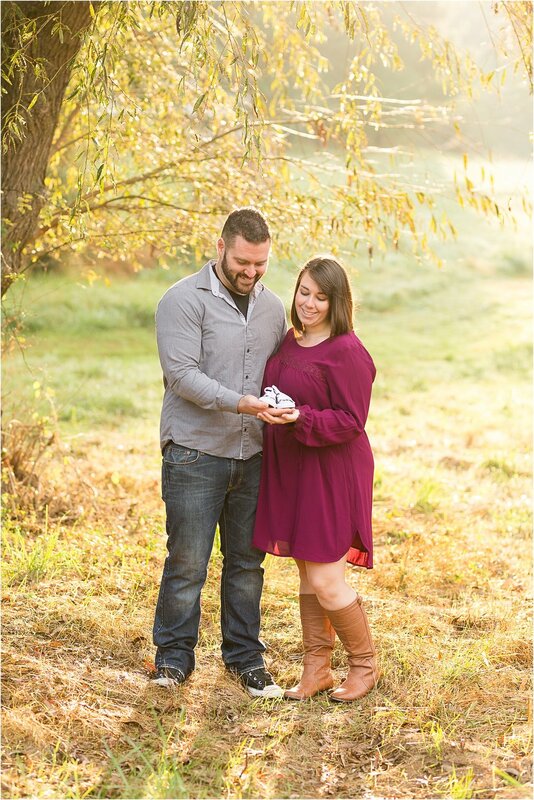 Now that the news has been out about Ashley and Jeff's pregnancy I can share their beautiful images on the blog! 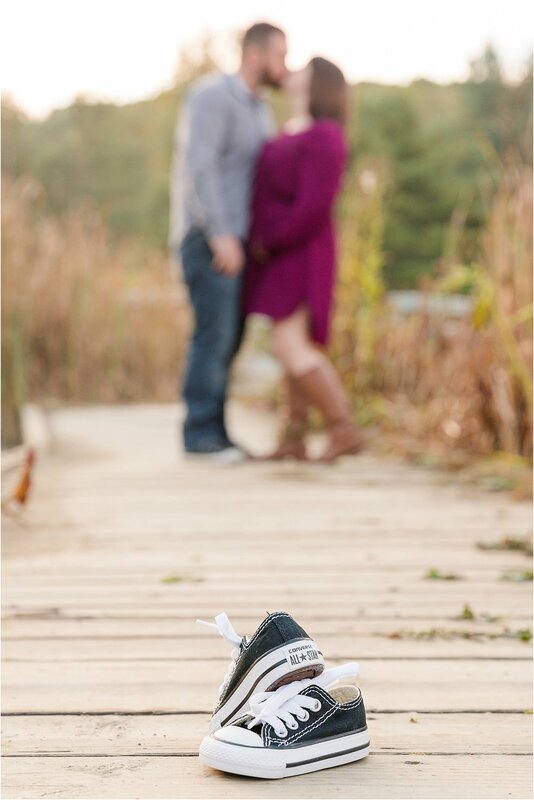 I met Ashley and Jeff for their pregnancy announcement session back in October at the Bear Branch Nature Center in Carroll County. 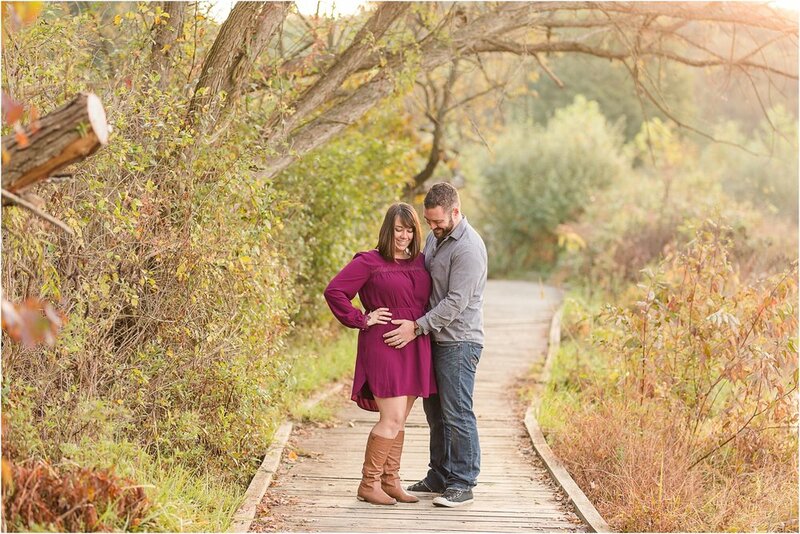 We had the perfect Fall morning for their session! 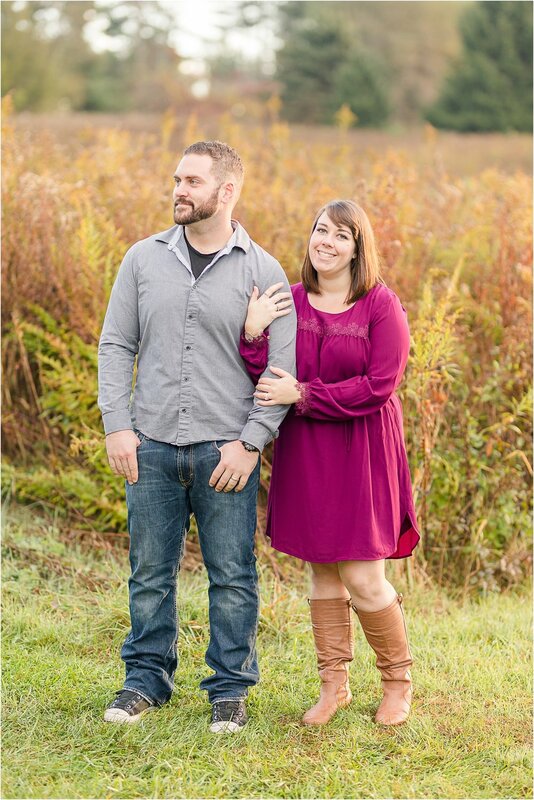 Ashley and Jeff are the sweetest couple! They actually just celebrated their one year anniversary a few days ago! Happy Anniversary guys! 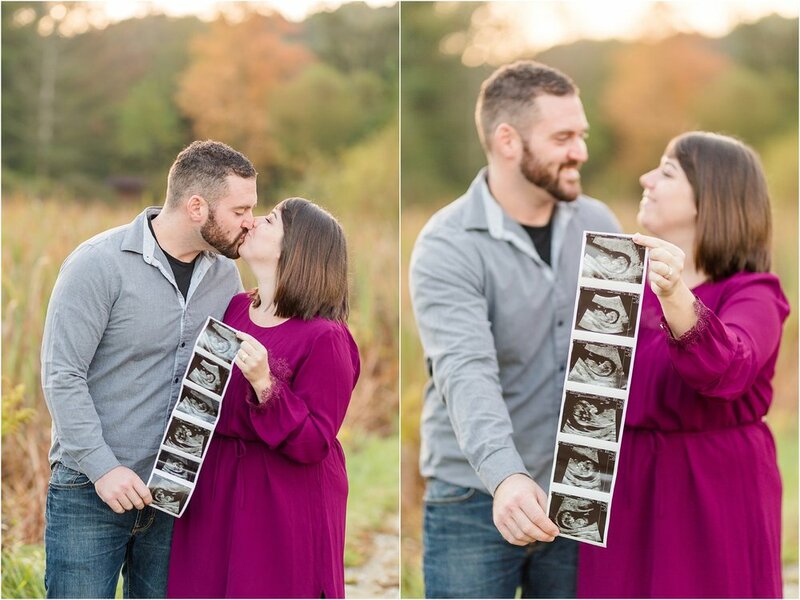 These two are SO excited about their baby on the way! 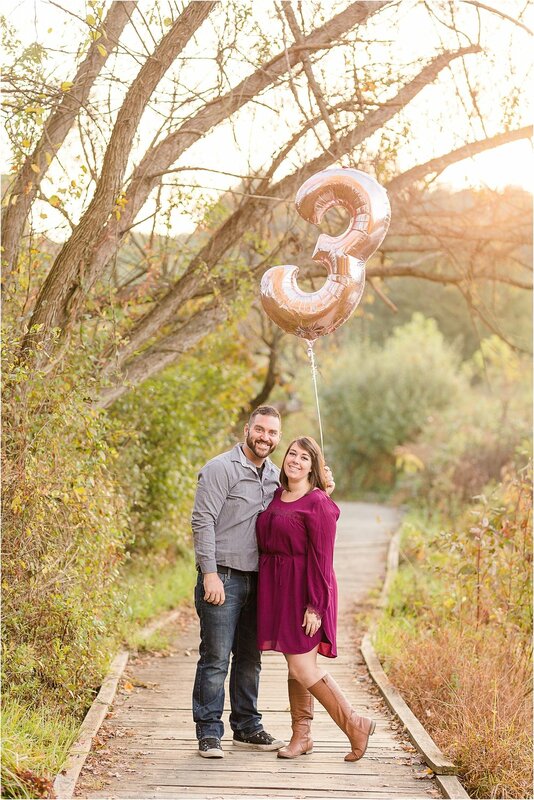 To make their session perfect they brought along the cutest pair of tiny Converse and a "3" balloon. The balloon signifies the third family member that will be joining them! 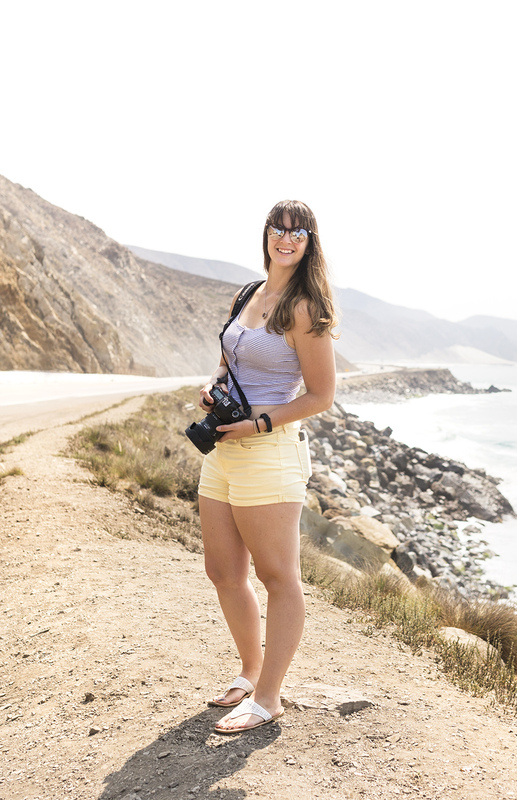 I absolutely loved this idea! I am so excited to follow their journey and watch their family grow!